Share this product and receive a $1.82 sharing discount. 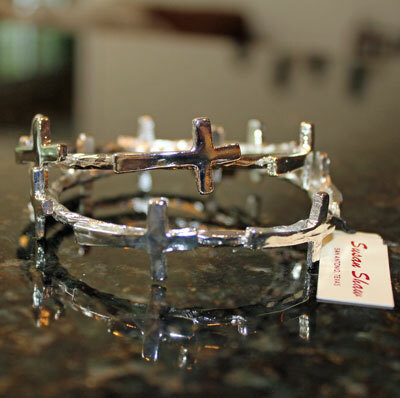 This lovely silver bangle bracelet has been designed with the latest fashion trends in mind. The image shows two bangles. Bangles are sold individually. Measures 2 1/2" inches across from the inside of one side to the other. 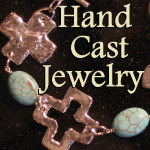 The cross charms measure 1 1/8" long and 3/4" wide.